At Big Bin Hire, we’re strong believers in transparent pricing no matter what service you engage in. When searching for Melbourne skip bin prices, don’t forget to ask about any hidden or additional charges including penalties. As part of our ethical process, all of our skip bin prices are flat fees based on the type of rubbish and skip bin size you hire. We don’t believe in hidden charges and promise transparent pricing at all times. Provided that you do not overfill the skip bin or place any other waste types that have not been agreed with, you will not be subject to additional charges. If other waste types that have not been agreed with are put in a skip bin, we will have to do extra work handling the waste to ensure that it is disposed of properly according to the relevant applicable regulations. We service both small and large customers with a wide range of skip bin sizes. Our decades of industry experience has given us the advantage of providing extended and permanent skip bin hire solutions all across Melbourne. We’ve operated locally for as long as we can remember and unlike most Melbourne skip bin companies, we’re 100% locally owned and family operated. Our community matters to us which is why we make the effort to ensure all our skip bin hires involve recycling and proper waste disposal. Whenever possible we avoid landfill and divert waste to the appropriate recycling or disposal centres. Big Bin Hire has been a local brand trusted by countless local Melbourne customers who have been with us since the very beginning. We’re small enough to care and big enough to manage large and long-term projects. We understand that a lot of customers are looking for cheap skip bin hire options in Melbourne which is why we have worked very hard to keep our prices low and as reasonable. When sourcing a Melbourne skip bin hire quote, we urge you to consider quality and service. At Big Bin Hire, we are confident in our services and know that you will not be disappointed. Our skip bin pricing is transparent and we’re upfront with our charges. To avoid unwanted additional charges, we help customers learn about the do’s and dont’s of skip bin waste to keep costs low. At Big Bin Hire, we ensure our clients are treated respectfully and professionally from the first enquiry until the skip bin has been removed from site, to any after-service customer care. We are the easiest and most efficient skip bin hire in Melbourne. Our customers can put their minds at eases knowing they have chosen Melbourne’s most trusted skip bin hire service in the industry. From personal arrangements to major commercial projects including civil construction, property development and shopping centre refurbishments, Big Bin Hire has a stronghold of expertise in dealing with almost any customer. To ensure the best professional service for those with busy schedules, we offer a dedicated driver service for projects requiring multiple skip bins and changeovers. Your time is valuable to us and we happily work with you to meet your needs. 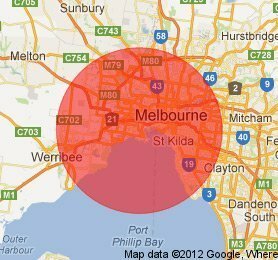 No matter your request, we will deliver an affordable solution in Melbourne for your skip bin hire needs. 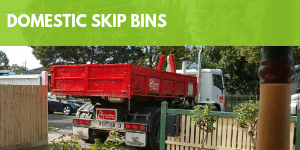 With friendly and responsible drivers that deliver and pick up our skip bins on time, we are confident that once you use Big Bin Hire, you won’t want to get anywhere else for your Melbourne skip bin hire needs. Regularly providing skip bin hire services to South Melbourne, Caulfield, Prahran, South Yarra, Toorak, Malvern, Glen Iris and Murrumbeena, we have been praised for our efficient service and great reputation. Big Bin Hire is located in their Western suburbs and are able to accommodate skip bin hire jobs of any size anywhere in Melbourne. Hiring a skip bin with us is easy. All you have to do is give us a call and tell us exactly what your circumstances are and we will happily recommend the best solution for you. We offer professional advice to help sort your waste before putting it in the skip bin. We will aim to reduce your costs by suggesting appropriate bin sizes according to the square metre of your waste. Our expert knowledge in the field makes the process of your Melbourne skip bin hire easy. Once we have the details, we’ll do our best to reduce your cost and quote you on the job. We then supply you with the bin, let you fill it and then take it away when you’re done. Big Bin Hire is committed to providing a safe workplace and take recycling and waste management seriously. Get in touch with us today for effective, clean waste disposal and collection skip bin hire service that is both affordable and reliable. From 4 – 20m3, we have the perfect sized skip bin for your domestic and household needs. We service shopping centres, offices and factories around Melbourne with small and large skip bin hire. Do you have an upcoming event that requires a waste management solution? 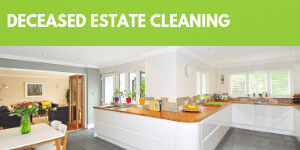 We know that often it is a difficult time for families when a family member passes away and a property is required to be cleaned ready for a pending sale or auction. But we can help make the process as simple as possible. We are the builder’s clean experts. We will get in and out and leave your site spotless so you do not have to worry about cleaning up after your hard work. 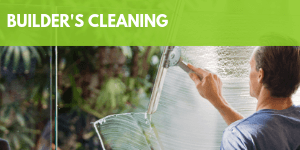 Whether you are looking for a quick tidy up from building rubble or you are looking for a white-glove service; we can help with your site cleaning requirements today. Why choose Big Bin Hire? Our local community is important to us. So working hard to keep our environment clean from waste is a priority. Big Bin Hire sticks to our word on recycling and helping locals gain access to affordable waste collection and disposal. Who likes being slapped with hidden and additional charges that weren’t part of a job quote? Our duty is to serve our local community in the most honest and trustworthy manner possible. Therefore all our pricing is transparent and fixed. You won’t get any hidden or additional charges with your Melbourne skip bin hires from us. From 4 cubic metre to 25 cubic metre walk-in skip bins as part of our service, our wide variety allows us to cater to jobs of all sizes. We have experience in helping household waste collection to commercial and industrial skip bin hires with repeat customers. Making sure you are extremely satisfied with our service is very important to us. We’re not all about the money and we work with our customers to help keep their waste collection and disposal costs as low as possible. For loads that are 100% such as timber, green waste, brick and so on, we provide reduced skip bin hire costs. Being local and family owned, Big Bin Hire is friendly and approachable with a clear focus on exceptional customer service. Our aim is to help make your life as easy as possible and we can help arrange a permit for your bin hire if required. We help you maintain an efficient waste disposal process. We do this by providing efficient skip bin swap overs ensuring no downtime in your waste removal process. We help you get the job done quickly. Hiring a skip bin should be an easy, simple and straightforward task. With Big Bin Hire, we make it possible to hire a skip bin – perfect for your needs – in an affordable and timely fashion. 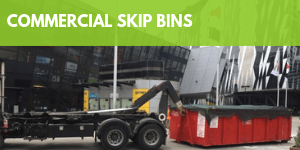 Servicing homes, businesses, factories, construction sites and much more, we provide cheap skip bin hire options throughout Melbourne for all skip bin sizes. Our excellent reputation, trusted service and years of experience has put us ahead. 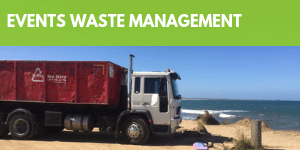 We provide skip bin hire services throughout Melbourne and Melbourne’s outer suburbs. Need a skip bin today? Call now and we will do our best to have the skip bin to as quick as possible. Make sure you check out our skip bin sizes first to find the most suitable bin for your waste. Balwyn, Beaumaris, Bentleigh, Blackburn, Brunswick, Bundoora, Burwood, Campbellfield, Carlton, Chadstone, Clayton, Coburg, Craigieburn, Elsternwick, Fairfield, Fitzroy, Hawthorn, Heidelburg, North Melbourne, Pascoe Vale, Port Melbourne, Preston, South Melbourne, St Kilda, Thornbury, Toorak, Tullamarine, Windsor. 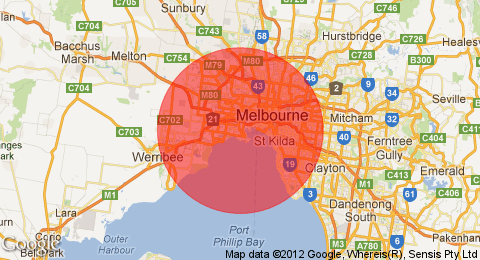 Feel free to call if your suburb is not listed and we can discuss our availability.